Moving can be a stressful and anxiety-ridden procedure, but finding the best movers in Sugar Land, TX can be easy if one knows where to start. This area is experiencing a huge population growth as a large group of people are rapidly migrating to the city, attracted to its commercial growth. Transitioning into the new locale can be simplified by contacting reputable movers in Sugar Land, Texas. To find the best moving company to handle the relocation to the area, begin by searching online for companies that are based in and around the area. Then read moving reviews from previous clients who have used their services. Previous clients can give a glimpse into personal experiences with the companies. However, it is also important to check for the moving companies’ ratings with the Better Business Bureau, Federal Motor Courier Safety Administration, and State Agencies and Mover Associations. These institutions will shows you the accreditations allotted to each company. The Better Business Bureau, especially, discusses the companies’ business practices. With a combination of client reviews and actual organizations that rate companies, one will get a good idea of which companies are responsible and reliable. The next step is to then analyze what the specific needs are. Will the client need assistance beginning the packing process? Many movers in Sugar Land, TX actually create a moving checklist for their clients, pointing out the key factors to keep in mind when relocating. Also, some companies will actually take the responsibility of packing the belongings, and some go so far as to even state they don’t need the client to empty any drawers. It is important to keep in mind that some companies will provide packing materials like boxes, wrapping paper, and tape as a courtesy, while others will have additional charges for these items. It is important to consider that when analyzing costs, most companies will include one truck and two workers in their initial rate quote. The need for additional manpower, trucks, and packing materials will drive the cost up. Local transfers that take only one day will often be less money than long-distance, multiple-day jobs. Each city has laws regarding relocations that determine how long items can be left in the driveway, which entrance on a street can be used and what kind of commercial vehicles can be driven on residential streets, especially when it comes to apartments and high-rise buildings. 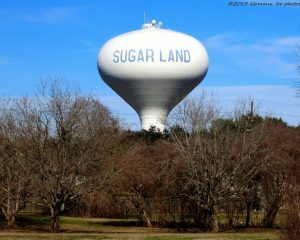 This is where local movers in Sugar Land, TX will come in handy. They will be familiar with the ways of the city and know which roads to take, what hours of the day they can work and what the local regulations are. All in all, there are a number of things to consider when packing one’s belongings and settling in to a new area. And in an ideal process, movers from Sugar Land, Texas will be of the best assistance. They can familiarize their clients with the ways of the city, help them arrange their living spaces, and maybe even point out where the closest home improvement store is. The first step is to open up a web browser and start the search. What do reviewers and analysts say? Which service fits the budget? Which companies are available in the specific time frame? The best company for the job will be easy to narrow down by answering these questions.